Audra Wallace, Biomedical Sciences ’12, currently resides in Boston, Massachusetts, but has always held close the tremendous impact the Auburn University College of Sciences and Mathematics (COSAM) has made on her life. “Each interaction that I had with anyone from prospective students to successful alumni offered me an opportunity to share my experience and passion for COSAM and only deepened my appreciation for the college itself,” Wallace said. Wallace is currently an Inpatient Staff Physical Therapist in the Neurology Unit at Massachusetts General Hospital in Boston. As a member of the Physical Therapy service, Wallace is expected to rotate departments every 8-12 months, making relationship building a critical skill - a skill she developed in COSAM. Wallace enjoyed a multitude of opportunities and experiences that COSAM offered and provided her with, but placed significant value on the relationships that were developed and people she was surrounded by. 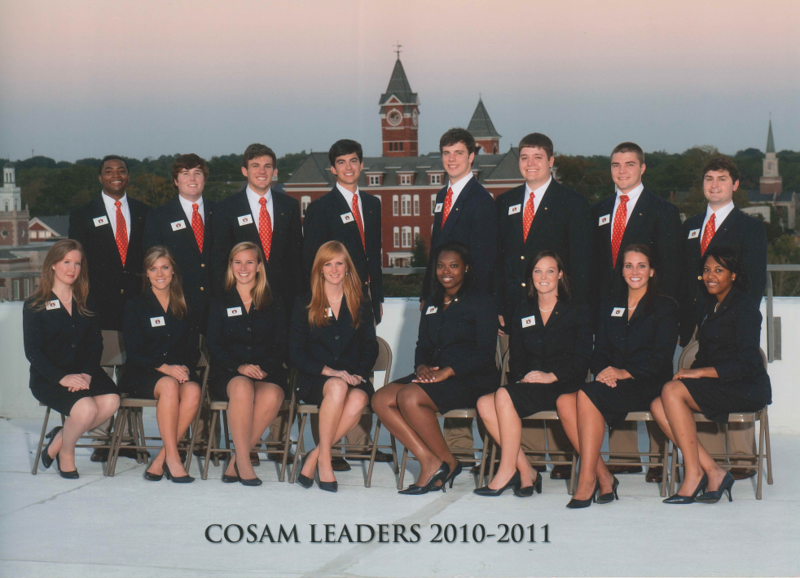 While at Auburn, Wallace was a member and president of COSAM Leaders, as well as COSAM Peer Advisors and achieved the honor of being a Dean’s Medalist recipient. Throughout her education, Wallace remained involved in COSAM, consistently making it a priority to give back to the college. Audra (Brawley) Wallace was part of the 2010-2011 COSAM Leaders. She is pictured in the first row, seated, third from left.